The Dual Shock 4 has improved upon the Dual Shock 3 is just about every way possible. One area that the successor is lacking compared to the predecessor is battery life. The Playstation 4 controller has to be recharged more frequently, causing annoyance to some users, especially during longer play sessions. The Nyko Power Pack promises to extend the battery life of the Dual Shock 4. So is the product worth it? The Nyko Power Pack adds a 1000 mAh battery to the back of the PS4 controller, through the USB port, effectively doubling the battery life. Once installed, the user can press the power button in order to activate the accessory. 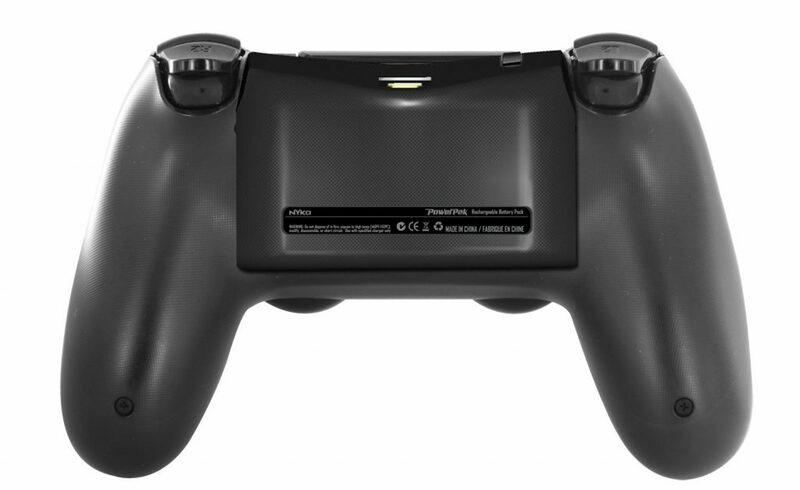 The extended battery works by providing a constant charge to the Dual Shock 4. For instance, the internal battery will take the energy from the external one if it is less than a 100 percent full. The pack itself can be charged without being detached from the controller. You can simply use the same cable that came with the Dual Shock 4 or any other mini-USB cable. It can also work in conjunction with another Nyko item, the Charge Base. The product works as advertised even though it does come with a few caveats. Installing the Nyko Power Pack is a little more complicated than expected. You first have to make sure that the accessory lines up with the back of the Dual Shock 4 before sliding it into place. A few users reportedly have trouble trying to install it properly. Nevertheless, the process should become second nature after a few successful tries. When done correctly, you will hear a loud click of the pegs locking into place on the two screw holes from the back of the controller. The main issues with the accessory have to do with ergonomics. Sony designed the controller to be as comfortable as possible. The Power Pack from Nyko adds a big bulk to the back of the Dual Shock 4, which makes it more awkward to hold. The external battery also makes it harder to reach the L2 and R2 triggers. Both buttons are commonly used for third and first person shooting video games to aim and fire. Therefore, the player could be at a disadvantage when using the pack in competitive matches. 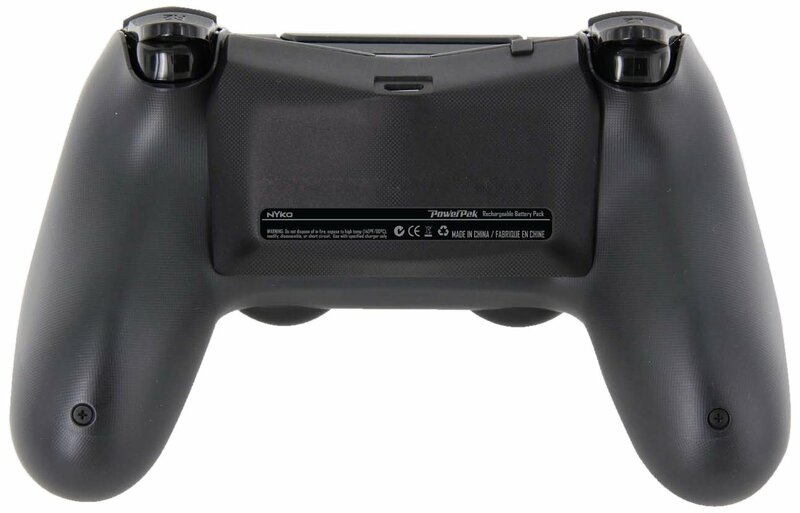 The product does a great job at extending the battery life of the controller for the PS4. By doing so, it also causes a few ergonomic issues. If you don’t mind trading in comfort for longer play times per recharge, then the Nyko Power Pack is worth it, especially considering that it is relatively cheap. The current price could also change based on official price drops and current sales. If you do value comfort, the best alternative is to buy another Dual Shock 4 controller. You can switch between the game pads if one needs to be recharged. Sony recently started adding more color variety to their controllers. Take a look at the latest available options here.